Was your loved one abused or neglected in a Union City, Georgia nursing home? Unfortunately, abuse and neglect happens all too often in nursing homes. You and your loved one may be unsure about what to do and how to handle the situation. Our website offers you the information and resources to do just that. We are dedicated to helping those who were abused or neglected in nursing homes and their families get the resolution they need. Nursing home abuse and neglect are two different situations but are both equally devastating. Abuse occurs when someone does something that intentionally causes harm to a nursing home resident. Neglect happens when a care provider fails to provide proper care which results in an injury. For example, a caregiver gives a resident the incorrect medication and the resident suffers a harmful drug interaction. The caregiver did not mean to harm the resident but it was certainly his or her fault that caused the problem. Whether abuse or neglect, neither one is acceptable. When is it appropriate to file a claim? It is important to follow some simple guidelines after learning of an injury in a nursing home. First, report the injury to the manager and seek medical treatment if that hasn’t already occurred. Make sure that your loved one is examined by his or her personal physician. In some cases you may need to report the injury to the police. Then, take steps to remove your loved one from the nursing home to ensure that further injuries do not occur. The law limits the time to file a claim so it is necessary to file a claim as soon as possible. The time limit to file a personal injury lawsuit is generally two years from the date of the injury or the date that the injury was discovered. In some instances, the law may require you to put a government agency or office on notice within six months or one year of the occurrence. It is always best to speak with an attorney as soon after the injury as possible. Your attorney will review the details of the case and help guide you through the appropriate process. Should I Use a Camera to Capture Neglect? Many loved ones may want to think about utilizing a camera in order to view the care that is being provided in a nursing home. There are many conflicting opinions about the use of hidden cameras because it might be a violation of privacy. Consider the reason why you want to use a camera in the first place. If you already suspect that your loved one is suffering from neglect you are probably correct. In most instances, family members begin to suspect neglect after it has already been taking place for some time. If you think your loved one is suffering from nursing home neglect consider some of the warning signs such as withdrawn behavior, bruises or unexplained injuries, poor hygiene and reduced mobility. Consult with an attorney to discuss the matter. Your lawyer will help determine whether neglect has taken place and will gather the evidence necessary to file a claim. We are Schenk Smith, your Union City nursing home lawyers. We offer the best and most thorough representation possible for nursing home abuse and neglect. We have years of experience working with only these types of cases. We know all about the various types of abuse and neglect that often occur in nursing facilities and we are strong advocates for justice. 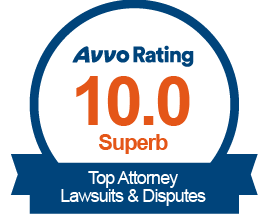 That’s why our law firm is rated highly by our clients. Read testimonials from our clients to learn more about the world-class professional experience you can expect. When you work with our law firm you will deal specifically with one attorney for most of your interactions. This makes it easy to communicate and allows you to get answers to your concerns. As a client you will have access to your attorney’s cell phone number. We want to personally help you every step of the way. We are here for you wherever you are located in Union City including near the APEX Museum, Dixie Lakes Park and Martin Luther King Jr. National Historic Site. Nursing Home Abuse & Neglect in Union City, Georgia – What you need to know. Union City, Georgia is located in Fulton County and has a population of 20,560 residents. Of those, 11.70% are aged 65 or older. Sadly, nursing home abuse and neglect occur here as they do in other parts of the state. What are the types of neglect? There are many ways that a nursing home resident may suffer from neglect. In general, they may fall into one of several categories. Medical Neglect: Medical neglect occurs when a caregiver fails to provide proper care to a resident. For example, a resident may develop a bedsore because the caregivers failed to provide adequate repositioning. Then, they failed to immediately notice the bedsore and did not seek medical attention. In this instance, the resident may suffer a serious and life-threatening injury because of the medical neglect of a nurse or caregiver. Neglect of Basic Care: Everyone requires basic care on a daily basis. Nursing home residents may need to get help brushing their hair and teeth, toileting, bathing, eating and changing clothes. These seem like simple things but in some cases a nursing home fails to provide some of them. For instance, a resident may be at risk for falling when they try to go to the bathroom on their own because a caregiver did not provide them with the assistance they need. Social or Emotional Neglect: A caregiver can be neglectful in a social or emotional way. The provider may yell at the resident or might shame them for doing something they can’t control. One example may be when a caregiver becomes angry with a resident because he or she soiled himself. The caregiver might be more than rude and in some cases might even physically harm the resident or may restrain him. These types of actions are unnecessary and may be considered neglectful. They should be reported immediately and further action might be needed. What are the warning signs of bedsores? Bedsores, also known as pressure ulcers, are among the most common type of injury to nursing home residents. Bedsores occur when something continuously rubs against the skin causing a red mark that can turn into a sore. They happen most frequently with residents who are unable to move on their own and therefore require manual repositioning. If left in the same position for too long a period of time, a bedsore may develop. It is important to become aware of bedsores as soon as possible. Bedsores happen due to pressure, friction or shear. There are some people who are at greater risk for developing bedsores such as those who are bedridden, those with poor nutrition and residents with medical conditions that restrict blood flow. There are some signs of bedsores that caregivers should look for in nursing home residents. Bedsores most commonly appear on the tailbone, heels, elbows and any other area that is in constant contact with sheets or medical tubing. It is important to note that bedsores can worsen very quickly. Therefore, they need to be diagnosed and treated immediately. A bedsore can deepen, open up and become infected. Residents can become extremely sick from bedsores. If allowed to worsen, bedsores are more difficult to treat and the infection can become sepsis, a life-threatening blood infection. The appearance of bedsores may be an indication that your loved one is being neglected. Who is responsible for neglect? Neglect in a nursing home is never acceptable. In most cases, the nursing home is ultimately responsible for the actions of neglect that occur at their facility. To determine who is responsible the cause of the neglect will need to be looked at. In a case, for instance, where a caregiver failed to properly supervise a resident who was injured in a fall, the caregiver himself may not be totally to blame. There may not have been enough staff members on duty to handle the number of residents, the staff members may not be adequately trained or management may be lacking. Any of these situations places responsibility on the nursing home. The nursing facility is expected and required to provide proper care to all residents at all times. When they fail to do so they may be responsible for negligent actions that take place. In some instances, others may also be responsible for neglectful care. Doctors and nurses are held to higher standards of care and therefore they know that if they make a mistake it could cause harm to a nursing home resident. Nurses, doctors and others may be responsible for neglect as well as the nursing facility where the incident occurred. My loved one was hurt in a Union City nursing home – What do I do next? If your loved one was severely injured or passed away at a Union City, Georgia nursing home, then we recommend that you act as soon as possible to protect your loved one’s rights. You also have another option available for reporting nursing home neglect. You may choose to file a complaint with the Georgia Office of the State Long-Term Care Ombudsman. The Ombudsman program provides an advocate for those who have suffered problems with nursing home care. They are trained to provide assistance and will resolve complaints between residents or their families, and nursing homes. A person or their legal representative may file a report with local law enforcement due to abuse or neglect that resulted in injuries in a nursing home. In some cases, criminal charges may be filed by the District Attorney’s Office: Atlanta Judicial District. For abuse occurring in a Union City, Georgia nursing home, report the crime to the City of Union City Police Department or to the Fulton County Sheriff’s Office. It may be beneficial for you to relocate your loved one to another facility. This will ensure that proper care is provided and will give you peace of mind while you sort out the details of the neglect that occurred. Of course, you want to be particularly careful to choose a facility that is going to give your loved one the high quality care they deserve as well as provide treatment to support their current medical or emotional state. You will want to visit the facility to get a feel for the type of care they provide but you’ll also want to dig a little bit further. The United States Centers for Medicare and Medicaid Services (CMS) offers a useful online resource tool to compare nursing facilities. The CMS website has information compiled from all nursing homes across the country with ratings so you can easily review and compare facilities. They base ratings on quality, nurse-to-resident ratios, inspection scores and more. For your convenience, a list of all nursing homes located within Union City Georgia is located below, along with their contact information and inspection scores. Nursing home abuse and neglect cases rely on medical records to prove the circumstances of your loved one’s medical treatment. While medical records are vital to a successful case, they aren’t always easy to obtain. You will need to gather all medical records from any doctors and hospitals that treated your loved one. This includes records from the nursing home itself. Keep in mind that nursing homes often try to place blame for an injury on the resident rather than taking responsibility. Therefore, you are going to need to get copies of all medical information possible. To do this you will need to have permission because medical records are protected. You will have to provide proof that you are legally allowed to obtain this information by showing that you have written authorization by way of a durable power of attorney, healthcare directive or legal guardianship.Those who do not have legal authority will not be provided medical records, even if you are a close relative, spouse, child or sibling. Begin they probate process if your loved one has passed away. It is helpful to understand how lawsuits are filed. When a person is alive, he may file a lawsuit on his own behalf. However, even though a person is deceased he still has the right to file a lawsuit if he was wronged. When a person is deceased such a lawsuit must be filed on his behalf. For example, the lawsuit would state that it is filed by the Estate of the deceased person. Only those who are legally authorized to act on behalf of the deceased person can file lawsuits. Only a person named in the Estate of the deceased is allowed to act on his behalf. An Estate must be created through Probate Court. This is done through a Petition to the Probate Court in the county where the person passed away. As part of the Probate process, a representative is appointed by the court. The representative, also called the executor, has the legal authority to act on behalf of the deceased’s estate. This means that as the executor, you may file a lawsuit against a nursing home for neglect. The executor can hire an attorney to represent the estate and can make other important decisions. Looking for a nursing home is not always easy. It can be difficult to make comparisons. We have provided a list of nursing homes that are located in Union City, Georgia. You can use the CMS Nursing Home Compare website to gain further insight when making this important decision. Top Nursing Home Abuse and Neglect Attorneys: We are a leading nursing home abuse and neglect law firm in Georgia. In fact, we are the best Google reviewed Georgia law firm that focuses on nursing home cases. 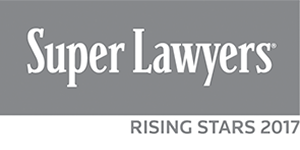 Our attorneys have been selected as Georgia Rising Stars, a title given only to the leading lawyers in the state. Knowledgeable: Our dedicated team of lawyers handles nothing but nursing home abuse and neglect cases. We know the ins and outs of these types of cases and have the expertise and experience to resolve even the most difficult cases. We are familiar with the current laws and will help get you the justice you deserve. Passionate and Caring: We are passionate about protecting the rights of the elderly. Nursing home residents are often left without a voice. We are here to change that. We advocate for the rights of our clients and their families. Our attorneys are members of senior citizen advocacy groups and are compassionate and caring. If your loved one was injured or died in a Union City, Georgia nursing home, please call us at Schenk Smith (678) 823-7678 for a free consultation. You can also check out hundreds of video FAQs on our website.